...I still think the Bulls might be better off if they let him walk this summer if he's asking for superstar money! I know this will make me sound like a Ben Gordon-hater, but I honestly believe the smart move is to let the former Huskie sign elsewhere if he’s demanding close to 10-Million a season. And you want to know why...Luol MFin Deng! While the majority of Chicagoans believe Deng is a soft little Beeatch, I actually believe he’s gonna use the criticism as ammunition and have a bounce-back year. And paired with John Salmons on the wing, the Bulls not only add some length and improve their D, but they give D-Rose more offensive opportunities with the shot-happy Gordon gone. 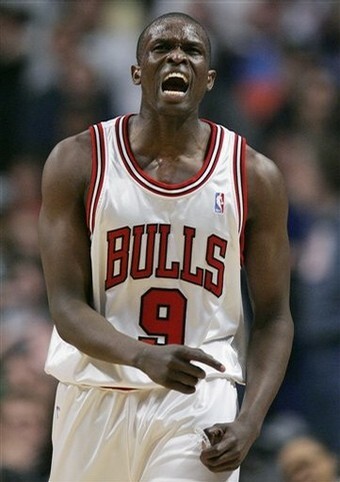 I know Deng has plenty to prove, but trust me, he'll be better then ever when he returns next year! ...so don't turn your back on him Homeboys! Call my crazy for pulling a Miss Cleo and predicting Luol will be in the best shape of his life and actually attack the basket with some confidence, but he's a great kid and will work his azz off this summer once he's heathy. And I can't stress it enough, but just like Jenna Haze told us in the Oral Adventures of Craven Moorehead #8, size does matter fellas and switching Salmons to the two-spot will be a dream come true for Rose. Especially if T-Time & Noah can continue to improve on their play, not to mention if the front office adds another frontcourt piece, this team will be a 50-game winner with a young superstar and plenty of flexibility to take the next step! 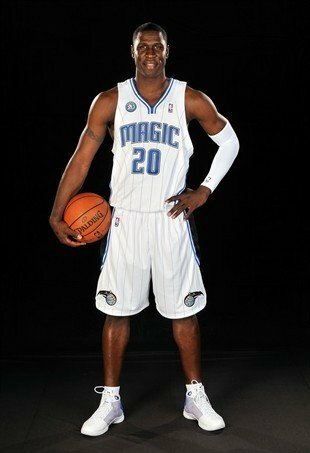 Especially after reports the Magic play better without Howard, I have a feeling your gonna see him MFin dominate! Cause just like our friend, his talent is too flawless to ignore! While the world talks about the Bulls/Celts Seven Game thriller, it's amazing to me how many people aren’t discussing how awful both teams played at different times. Without KG & Leon Powe, Boston’s frontcourt is extremely vulnerable to a player of Dwight Howard’s capabilities, not to mention they don’t have a big to guard Rashard Lewis on the perimeter (and please don’t try to tell me Brian Chubby Rapaport Scalabrine is the answer). Throw-in that Paulie & Shuttlesworth looked absolutely drained following the Bulls series, and I actually expect the Magic to destroy the Celts in Game One. 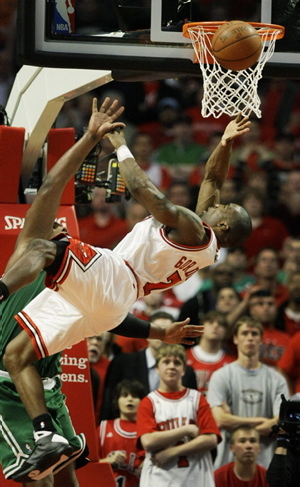 While you may not know much about Mickael Pietrus, Paulie & Ray-Ray know how sick of a wing-defender he is! ...and like our friend, he also has a great smile! While I have no prediction on the other hardwood contest, I do have a few hotties that wanted to say hello! This page contains a single article from May 4, 2009 12:04 PM. The previous days article was BULLS vs CELTICS FINALE...plus HOTTIES. The next days article was NBA PLAYOFF PICKS & PRETTY FACES.